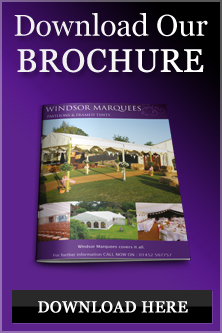 Windsor Marquees offers the highest standards in marquee hire in the South Wales area, priding ourselves on personal service, care and attention to detail. We aim to make your event a perfect and successful event. We specialise in marquees and accessories hiring and our dedicated staff are here to ensure you can relax and enjoy your day, whatever the occasion within South Wales and its surroundings. When it comes to making sure that you are choosing the right company for your marquee hire South Wales requirements, we have everything you need to make sure that your event is a success, from equipment to experience, we will make sure your marquee hire South Wales needs are met.